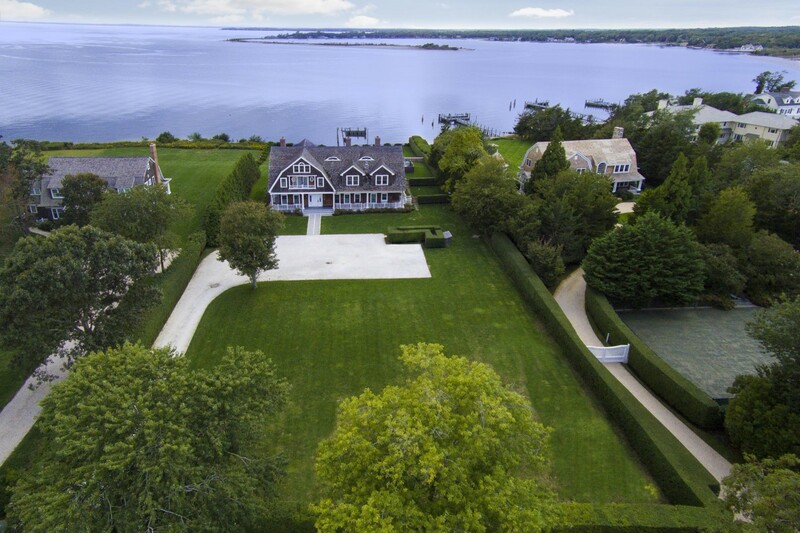 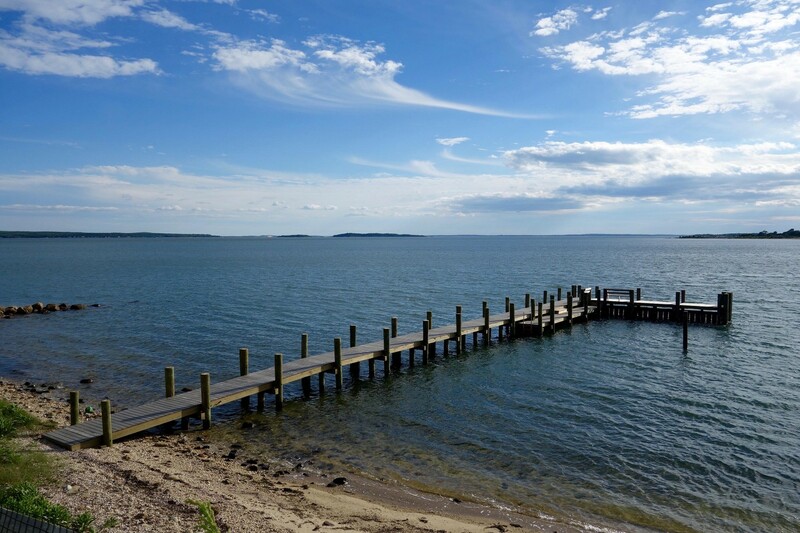 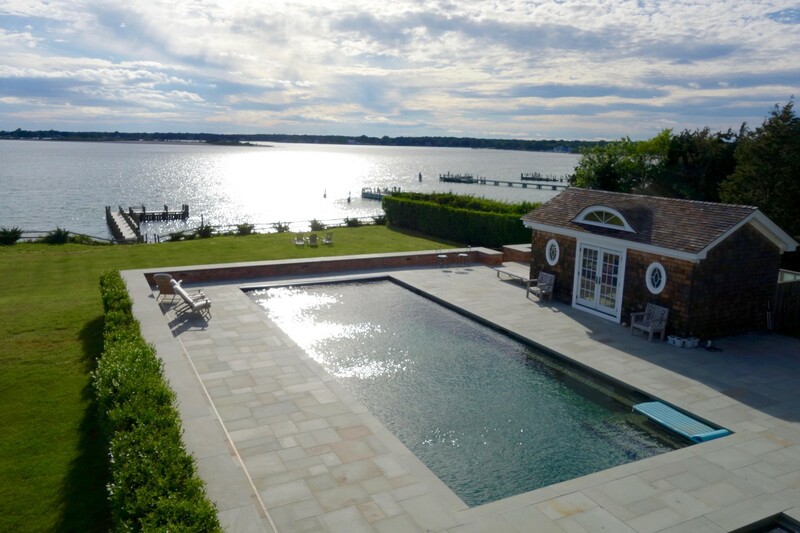 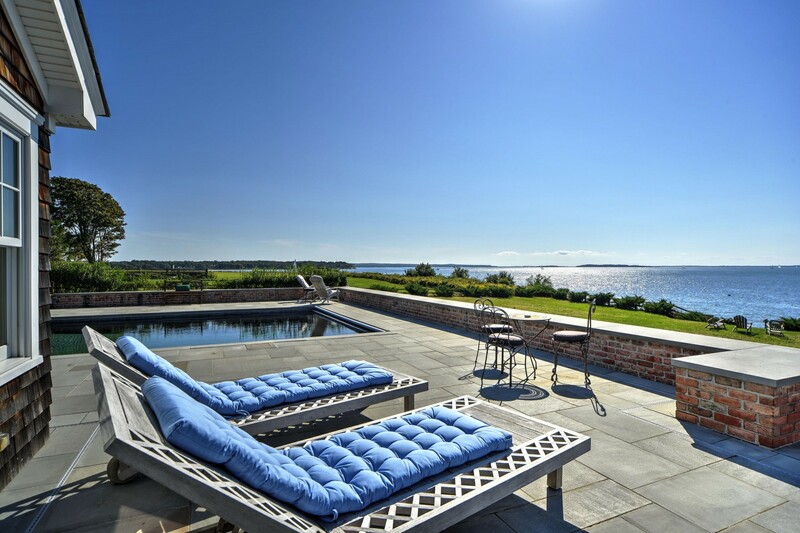 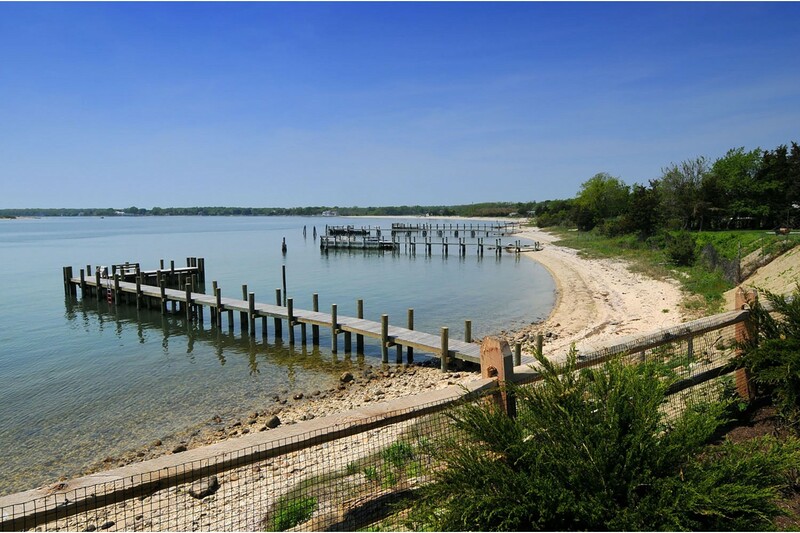 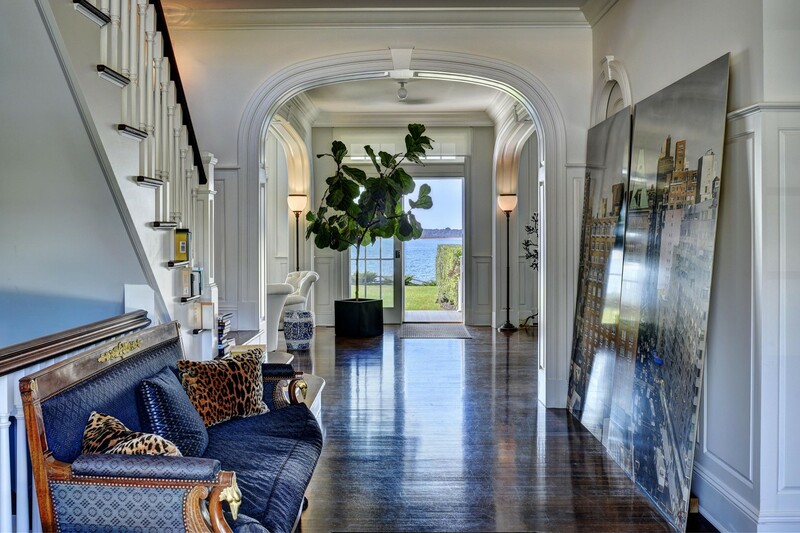 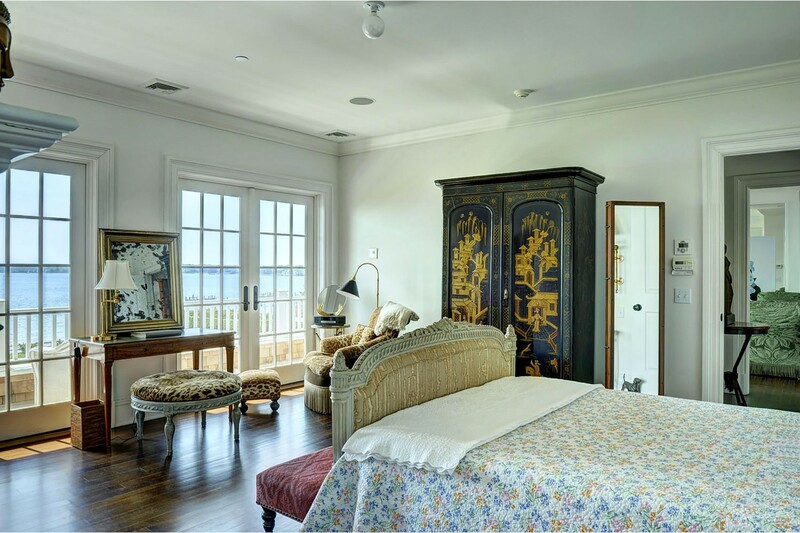 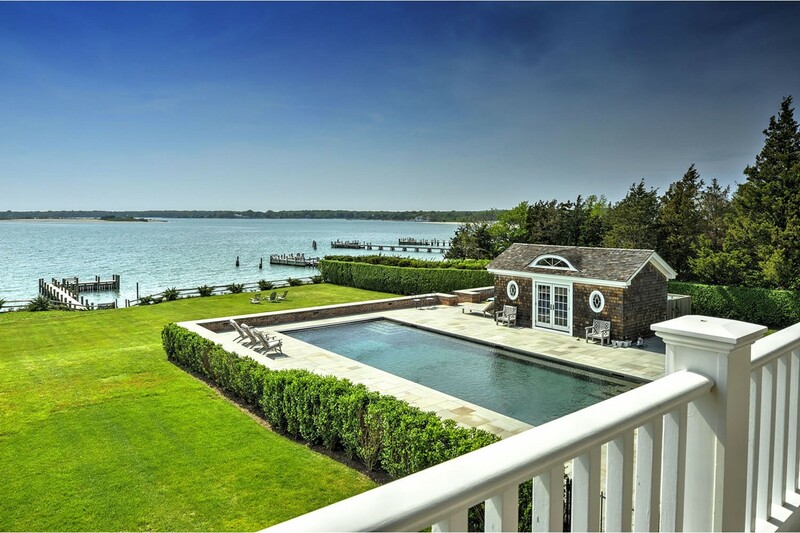 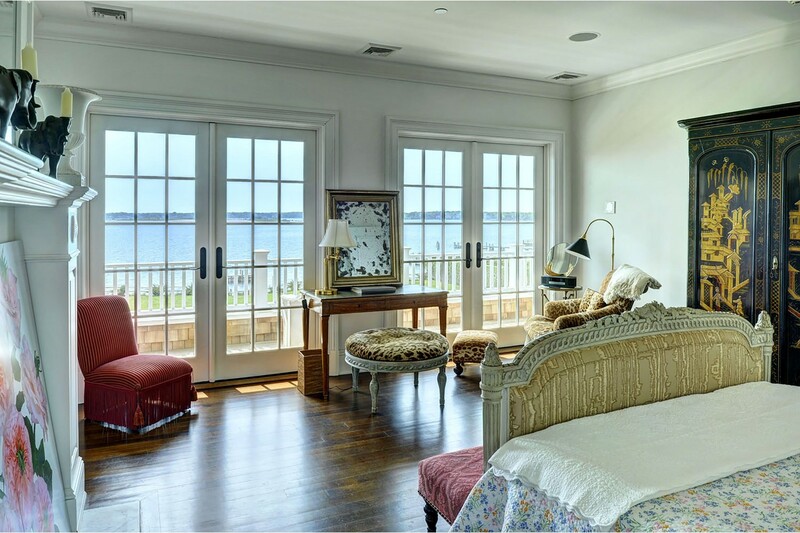 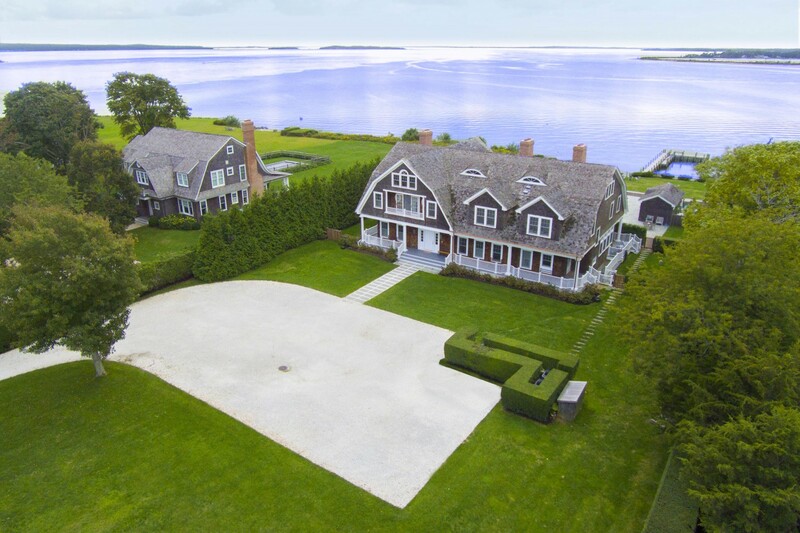 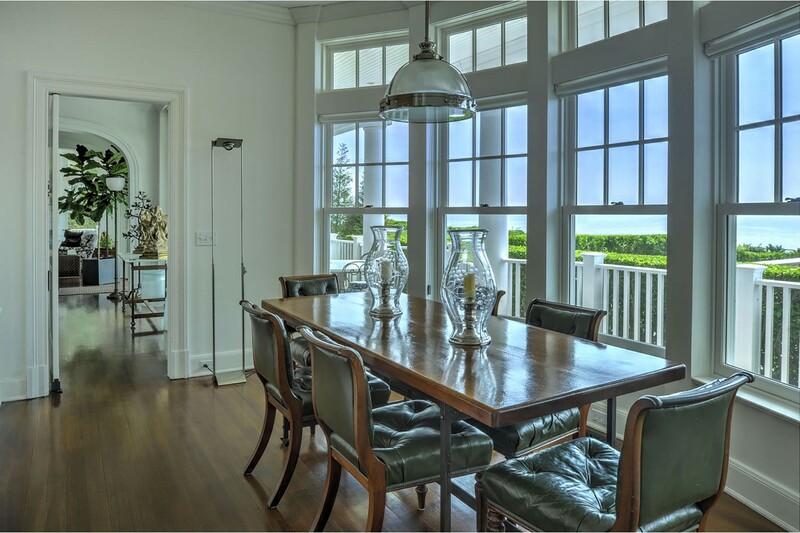 Heroic water views, blazing sunsets and a private dock are just part of the prologue to the story that introduces Four Seas, the stunning waterfront estate being offered for sale in the Shorewood area of Shelter Island looking west across the Peconic Bay. 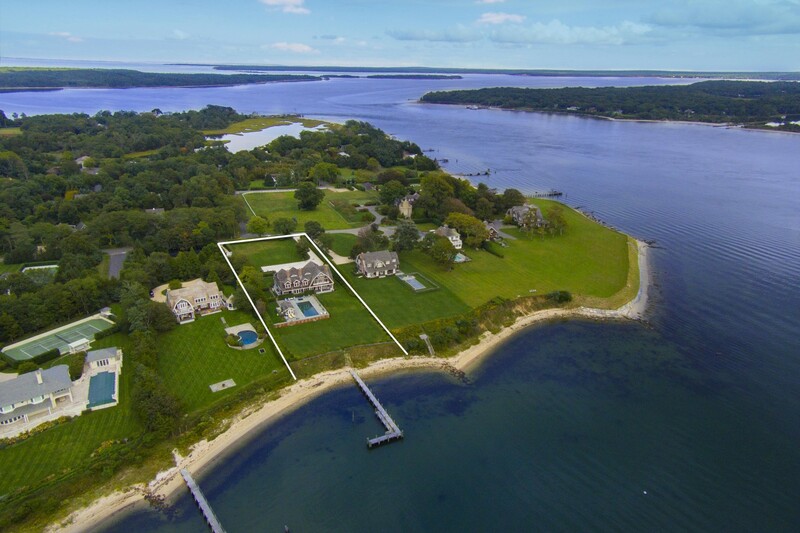 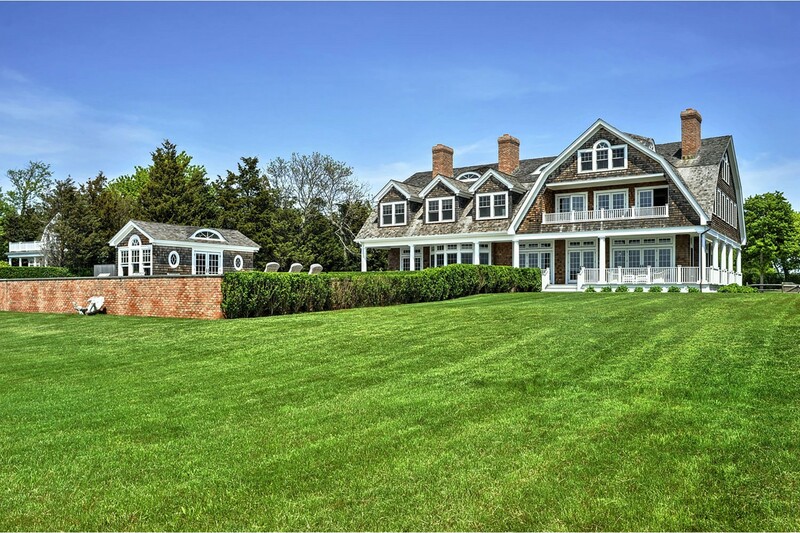 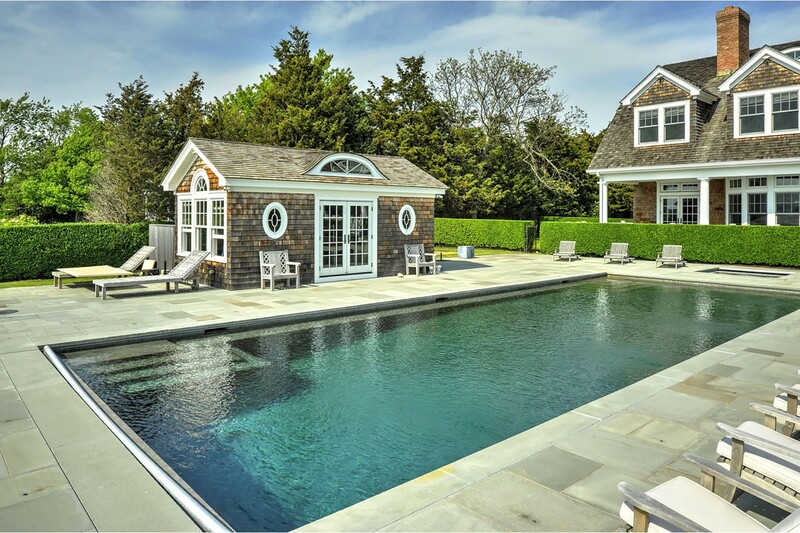 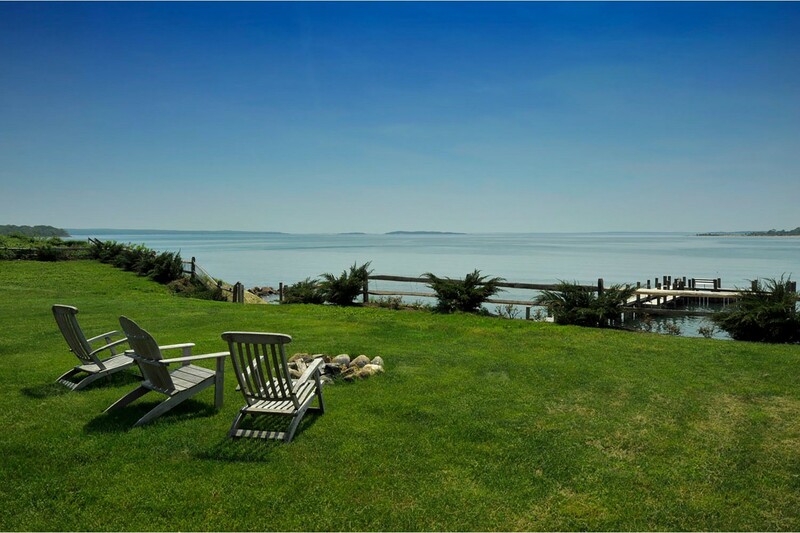 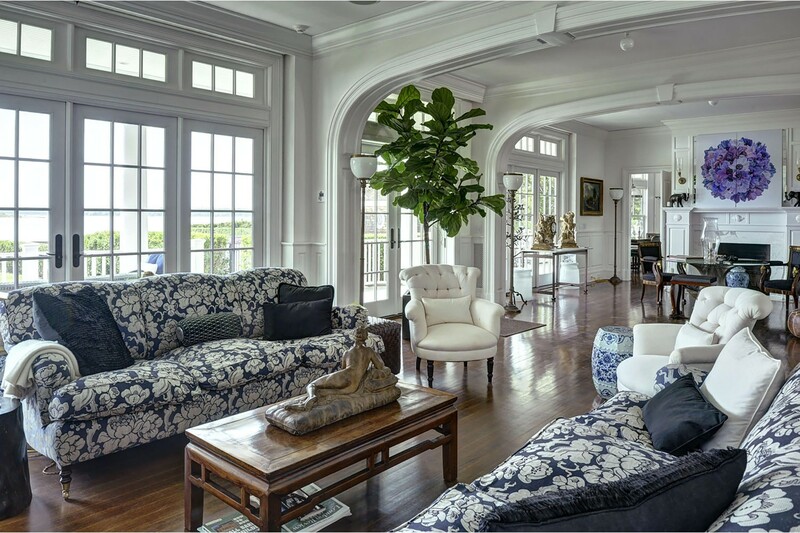 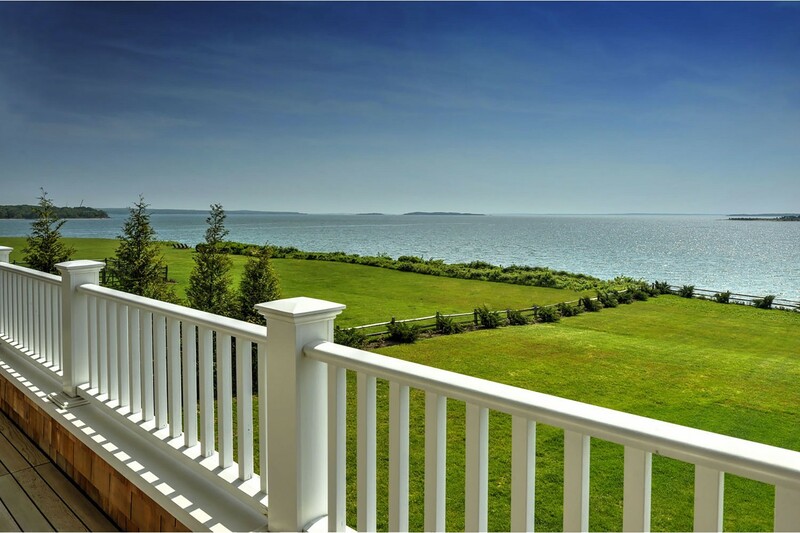 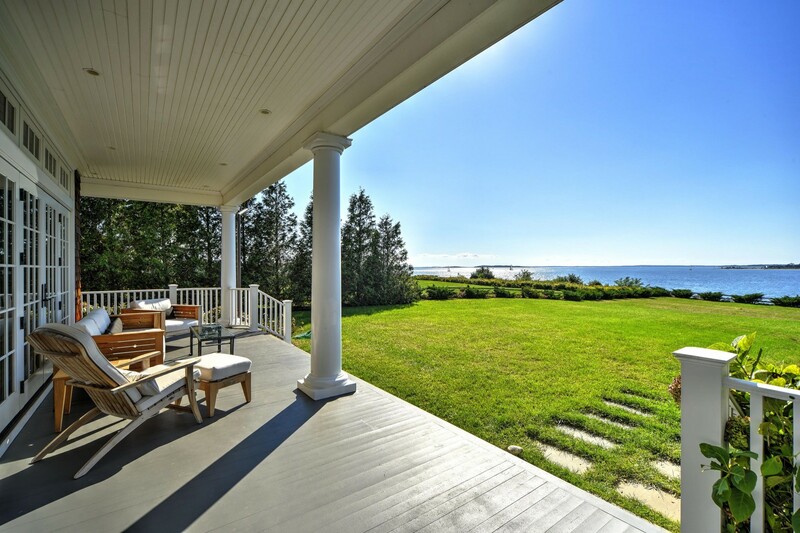 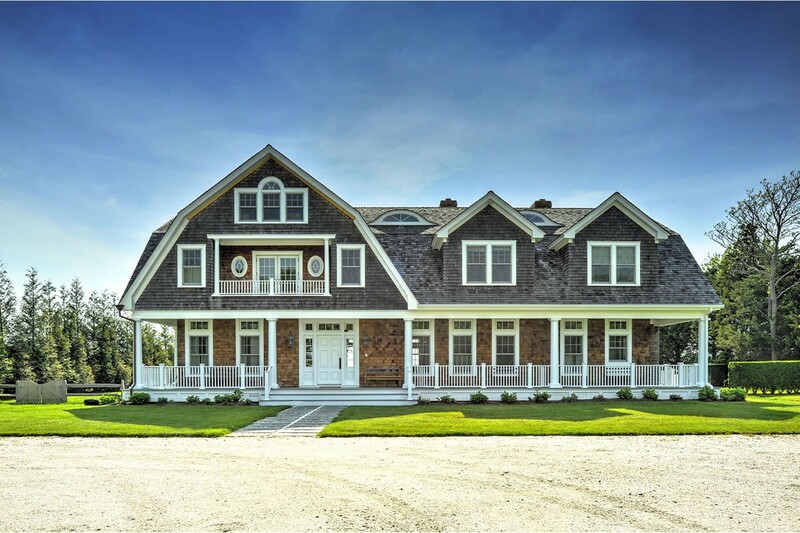 Sprawling across more than 1.5 private acres, along nearly 150’ of private beach, a classic gambrel style, shingled traditional anchors this exquisite property custom built by Ben Krupinski from an original design by Fairweather- Brown A.I.A. 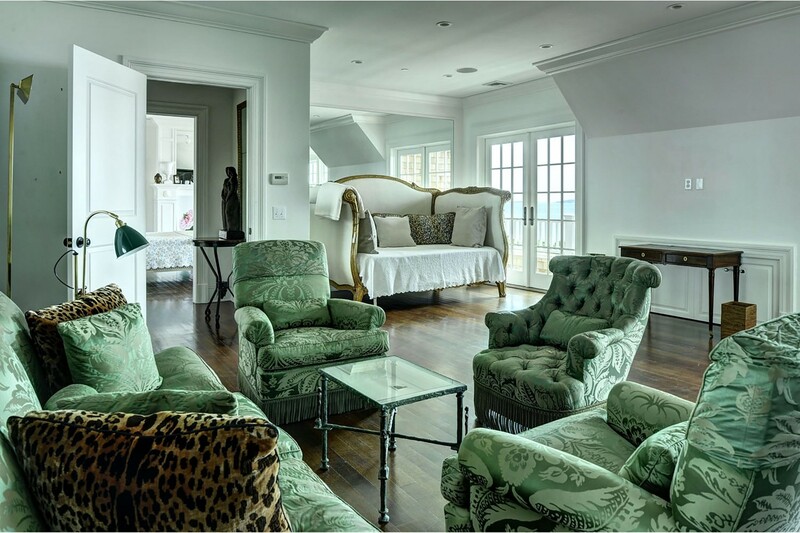 This distinctive 6-bedroom residence exudes excellence throughout more than 10,000 SF on four floors of living space as an intimate foyer opens over beautifully finished floors to common rooms including living room with fireplace, dining area with fireplace, guest suite and study, all having a multi-layered design aesthetic that includes elegant moldings, luxurious fixtures and bespoke fireplaces. 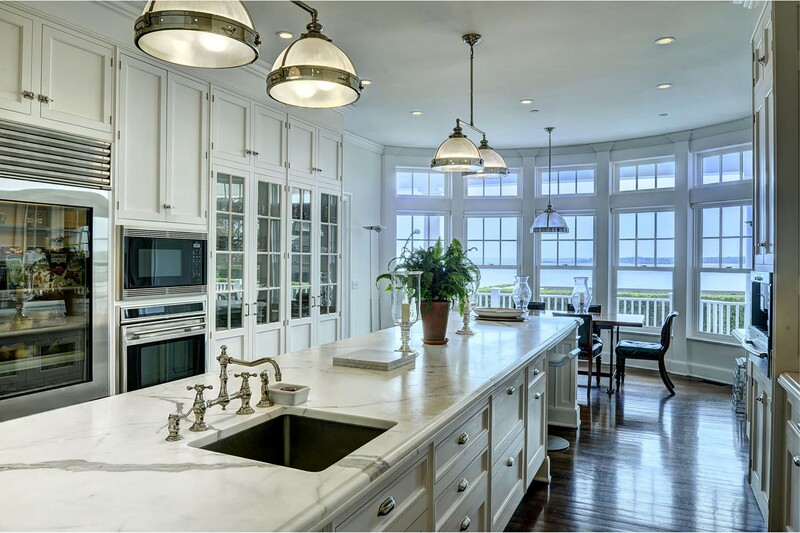 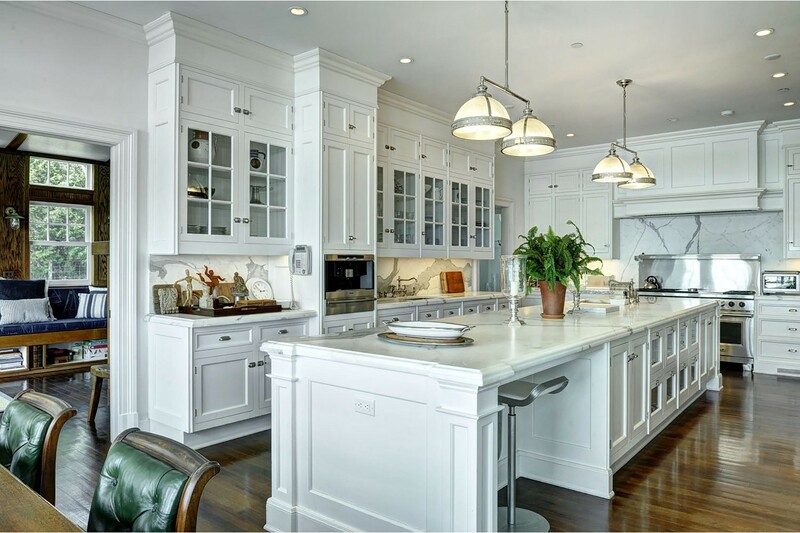 The Christopher Peacock kitchen with breakfast area offers custom cabinetry, oversized center island, professional appliances, butler’s pantry and an adjacent family room with fireplace. 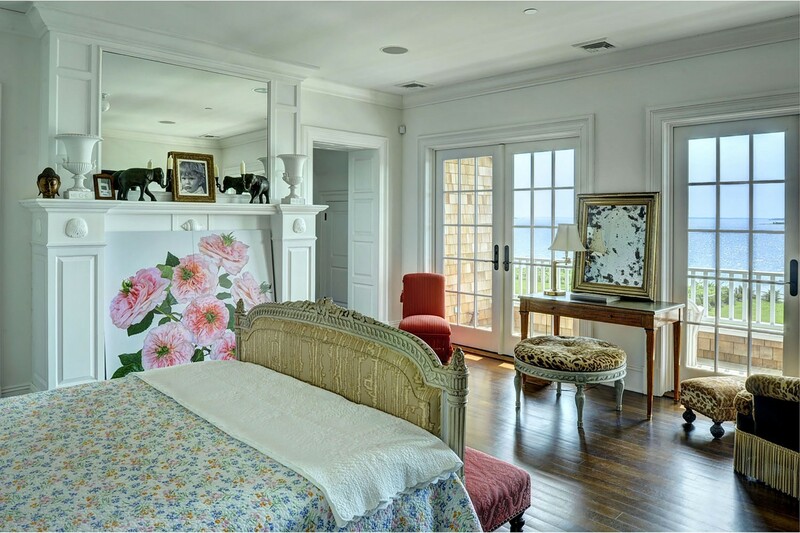 Upstairs the master wing finds a sleeping chamber with fireplace, sitting room, luxurious bath with heated floors, dressing room and west facing balcony. 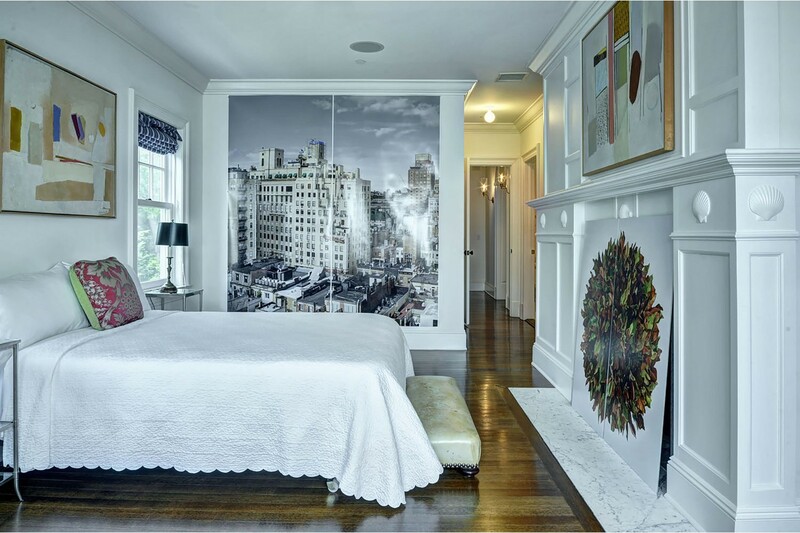 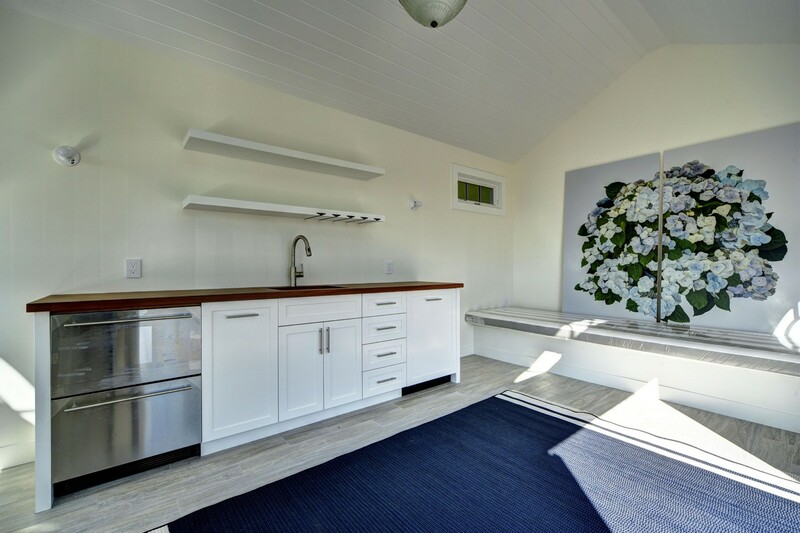 Four additional bedroom suites, 2 with fireplaces, plus a laundry room complete the 2nd floor. 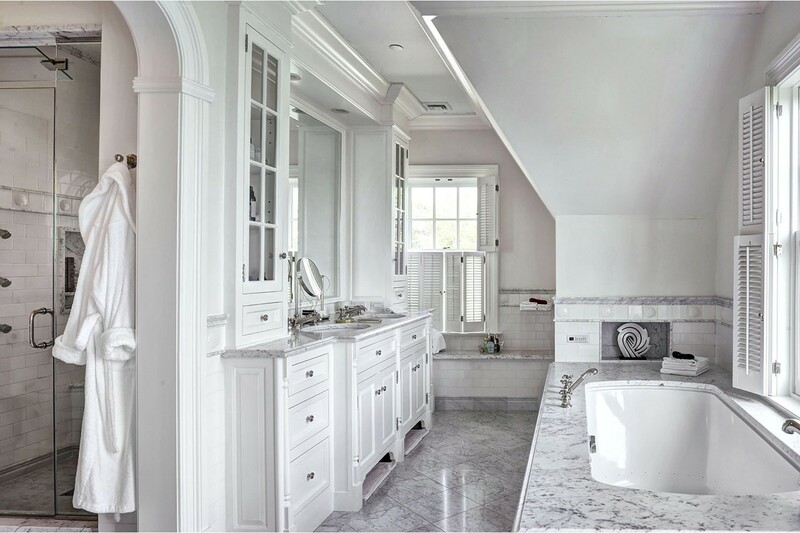 The lower level with full bath and another laundry room is additionally designed to allow for a media room, gym, game room and a wine cellar. 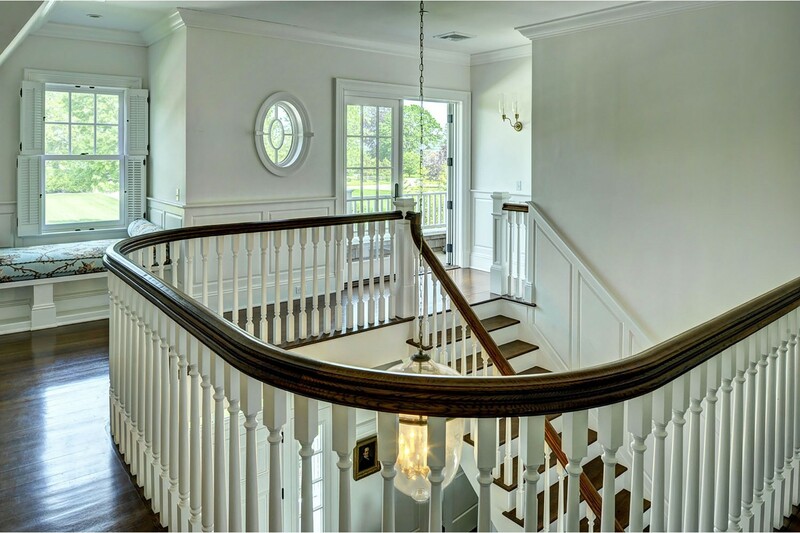 A finished third floor with a fire protection sprinkler system has numerous possibilities. 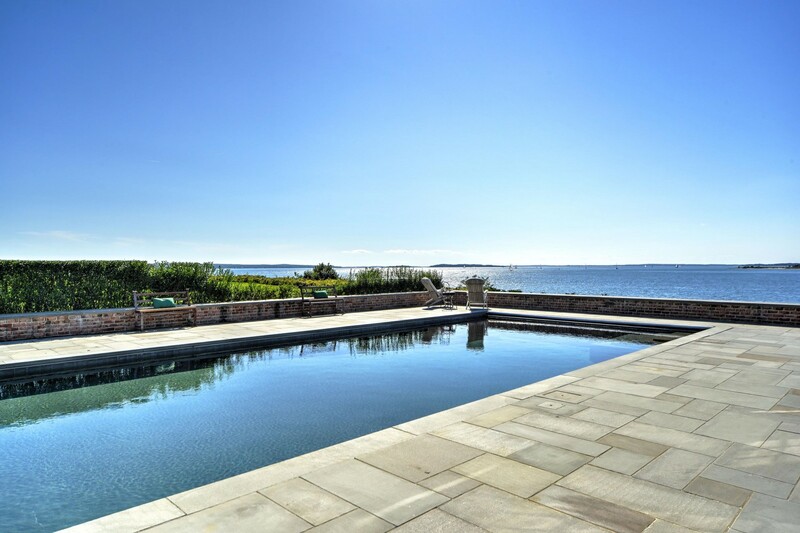 Series of French doors open to the wrap around covered porch that looks out to the waterside, 50’ heated Gunite pool and hot tub framed by a generous stone patio and serviced by a cabana. 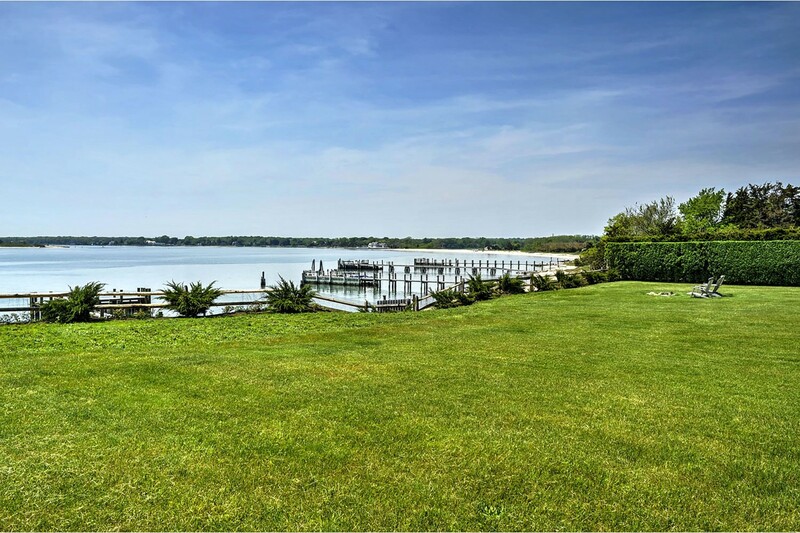 A sea of verdant lawn runs down to the bay where boats will find safe harbor along the 150’ private dock. 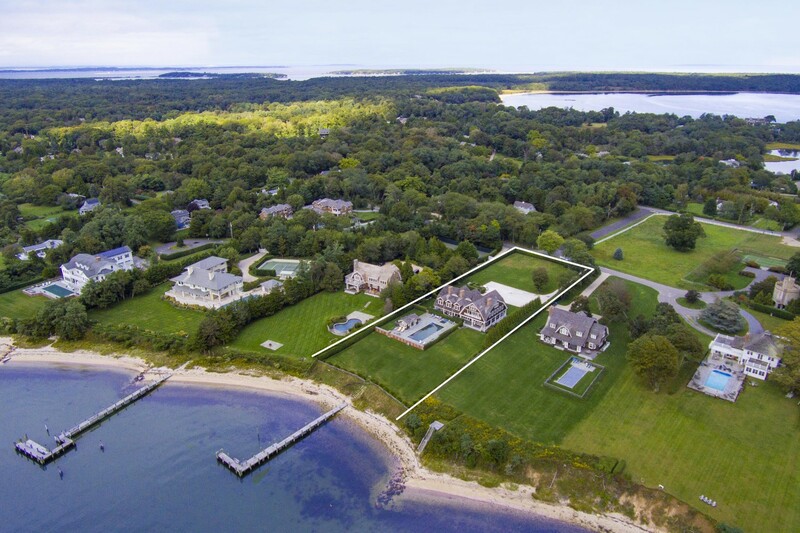 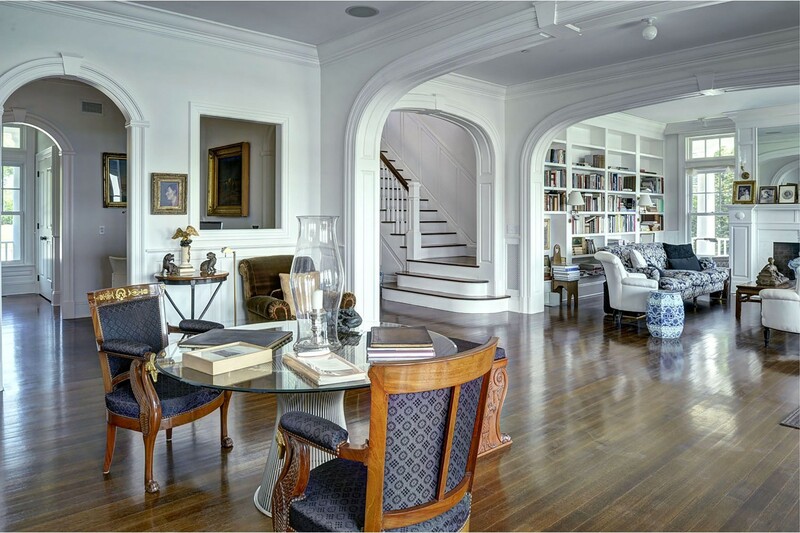 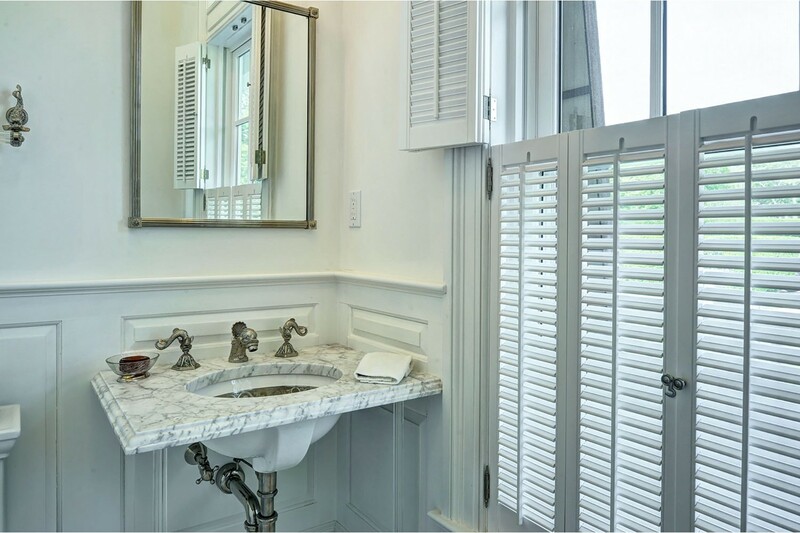 The expansive property has adequate room for a tennis court as well as for a 4-car carriage house already designed to host living room, kitchen and a pair of bedroom suites on the second floor. 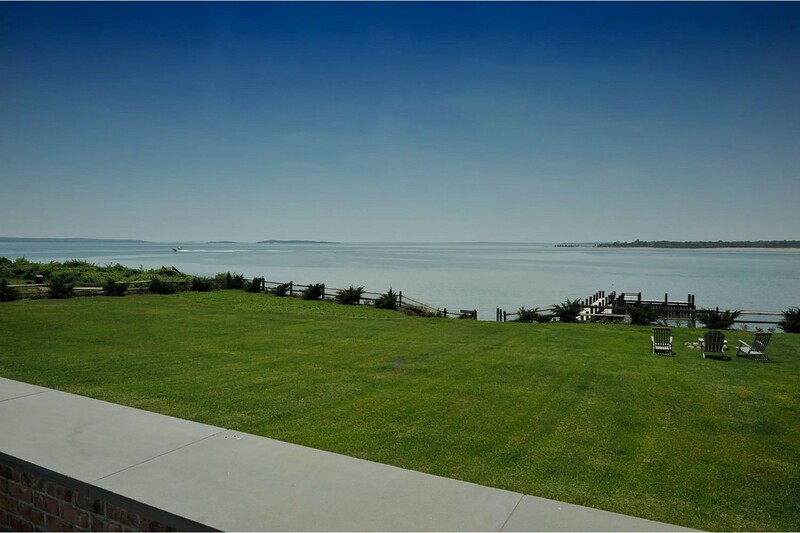 Sunsets and expansive water views can be yours if you contact us today to arrange for your own private tour of this sensational bayfront offering.